News flash: Golfing great Tiger Woods is returning to competitive play very soon. The 2010 Masters Tournament in Augusta next month (April 8-11) will be the venue of choice. It makes perfect sense for Tiger to make his much-anticipated return at the celebrated Masters. While it will undoubtedly be a media circus, it’s also the site of his very first major win (1997) and has been a rewarding course for Woods as he’s emerged victorious at the tournament four times overall. 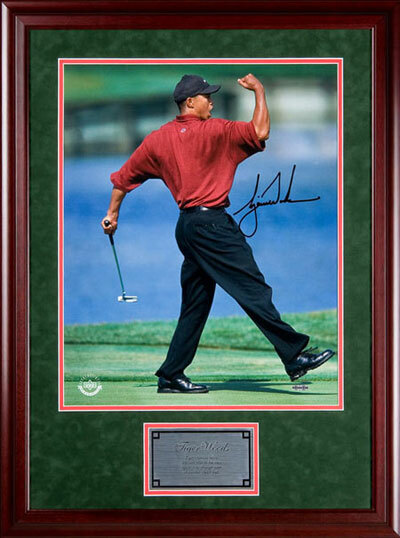 This is all good news for Upper Deck as we’ve had Tiger under exclusive contract for signed memorabilia since 2001. We’ve been able to chronicle his many victories out on the links and watch his march to greatness at every course from Augusta to St. Andrews. 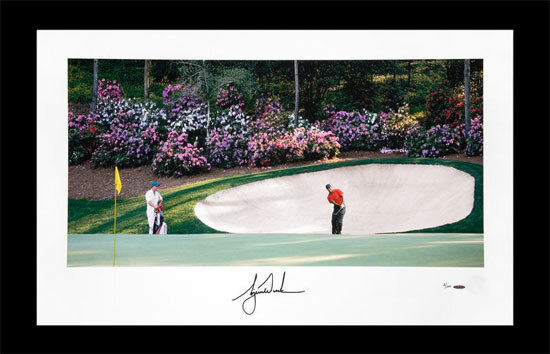 Our assortment of Tiger-signed memorabilia shows his fist pump celebration at the ’97 Masters to his memorable playoff round victory over Rocco Mediate at the 2008 U.S. Open. And remember, he won the latter tournament at Torrey Pines with torn ligaments in his left knee! Tiger’s return to the links is a good thing for the sport and for the collectibles industry. Why just this morning, upon news of Woods’ return, eBay was awash with postings reading: “Need Masters Tickets.” One solicitor even stated he was willing to pay $9,999.99 for tickets to all seven days of the tournament. Just being able to catch a glimpse of Tiger back in his element is enough for some fanatics to forego the family’s planned vacation to Yosemite and head to Georgia instead. The sports collectibles industry is built around great athletes performing great things out on their chosen field of play. For Tiger the artist, using his golf clubs to drive, chip and putt represent his style of paint brushes rolling across canvases called Shinnecock Hills, Pebble Beach and Whistling Straits. The golf world has been without Tiger’s fire out on the links for the past four months and has missed it considerably. Because in every tournament he plays, TV ratings go higher, galleries get bigger, and the audience of collectors who seek out Tiger keepsakes and mementoes grows right along with it. We look forward to chronicling Tiger’s continued march to greatness as he goes after major victory No. 15 next month. 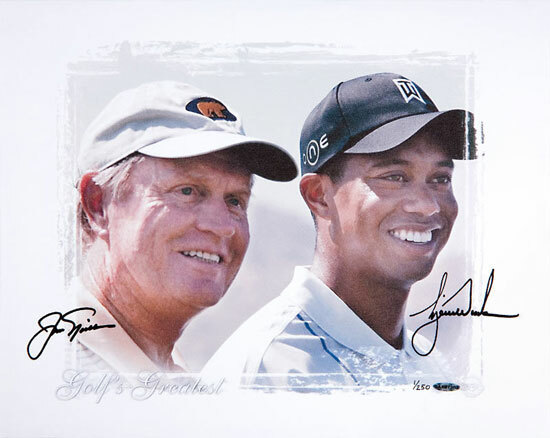 With Jack Nicklaus’s all-time mark of 18 majors still within striking distance, the anticipation, excitement and cheers surrounding Tiger’s pursuit just got a lot louder today. Looking for a Great Gift for Dad? Check out Upper Deck’s Gary Player Collection! 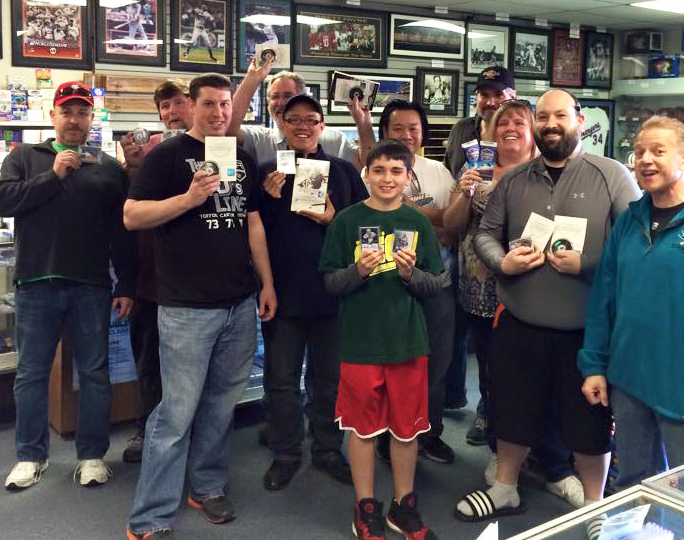 Beckett Auction Services Showcases Incredible Upper Deck Collectibles in May!